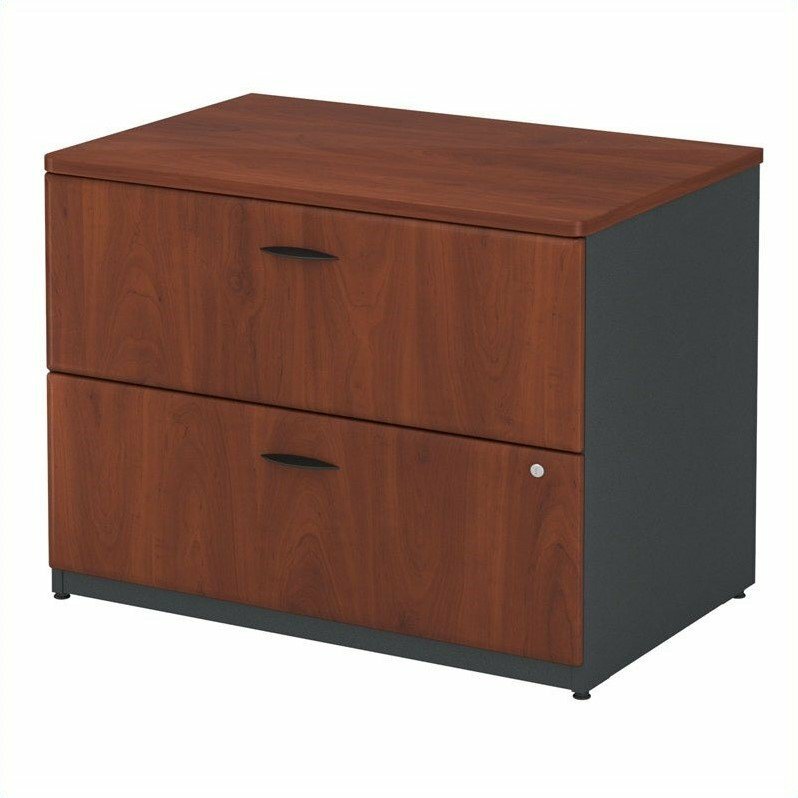 Enjoy easy access to all of your paperwork with the Bush Business Furniture Series A Lateral File Cabinet. The commercial office furniture product features a sturdy construction to resist scratches, stains and damage. Expansive Lateral File Cabinet drawers hold letter, legal and A4-sized documents. Drawers glide on smooth, full-extension ball bearing slides for an effortless reach to files, even those all the way in the back. A lock secures your paperwork, and the Cabinet matches the height of Series A Desks to permit side-by-side configurations for an expanded work surface. An interlocking drawer mechanism reduces the likelihood of tipping, and adjustable levelers provide stability on uneven floors. Series A offers a variety of layout options and 7 attractive two-tone finishes. Backed by a 10 Year Warranty. American made with U.S. and imported parts. Product Weight : 133 lbs.